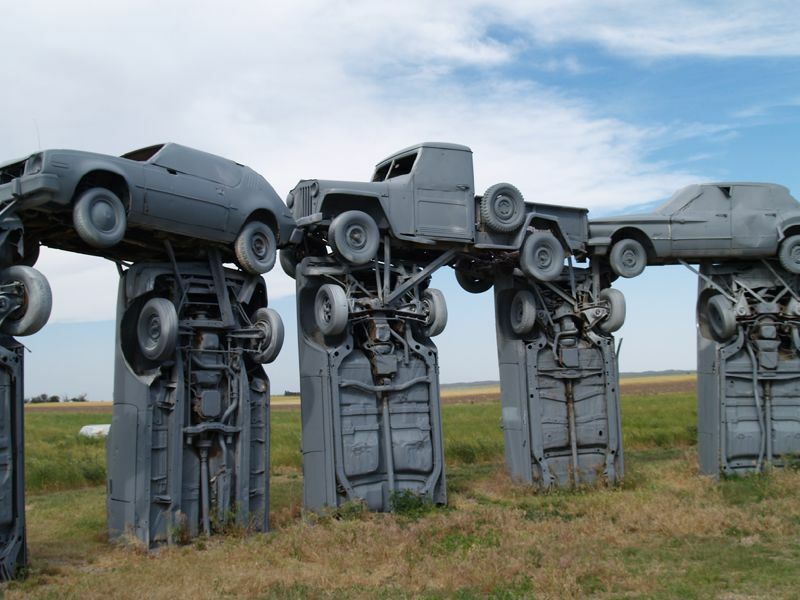 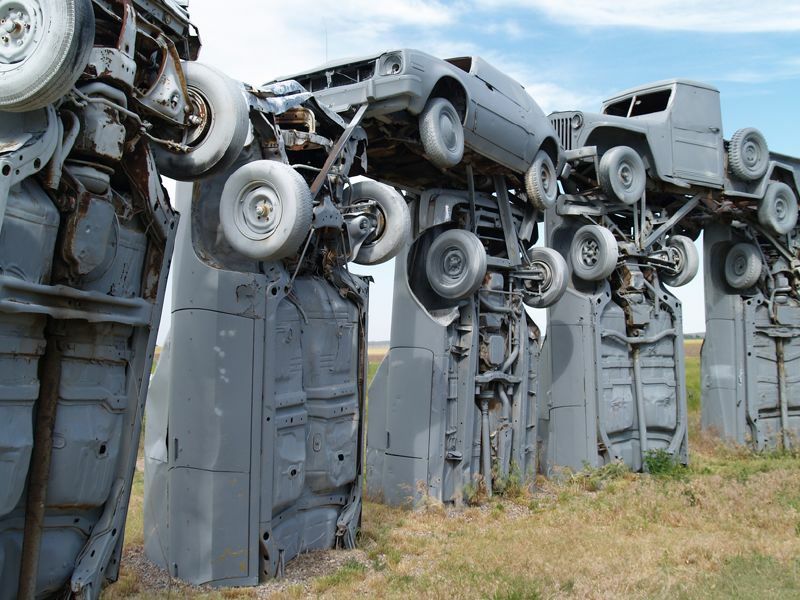 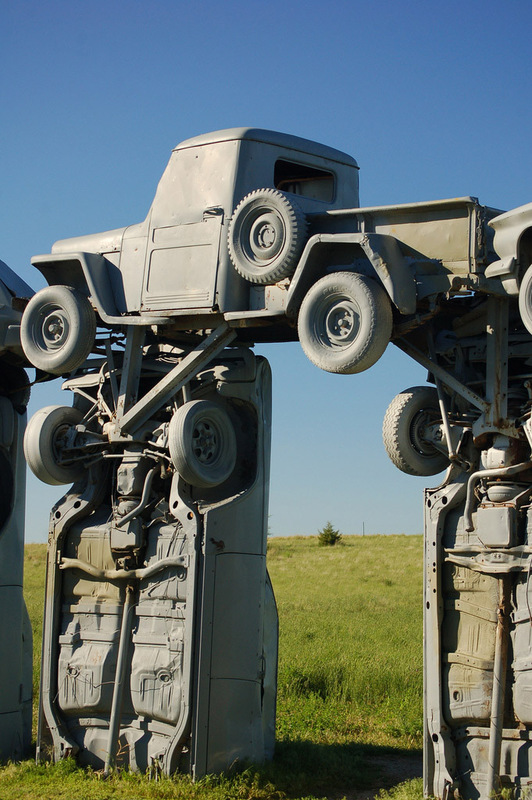 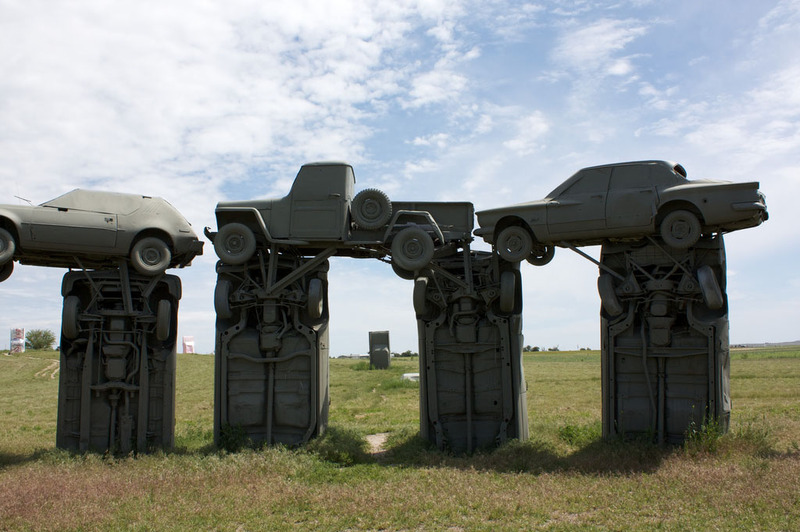 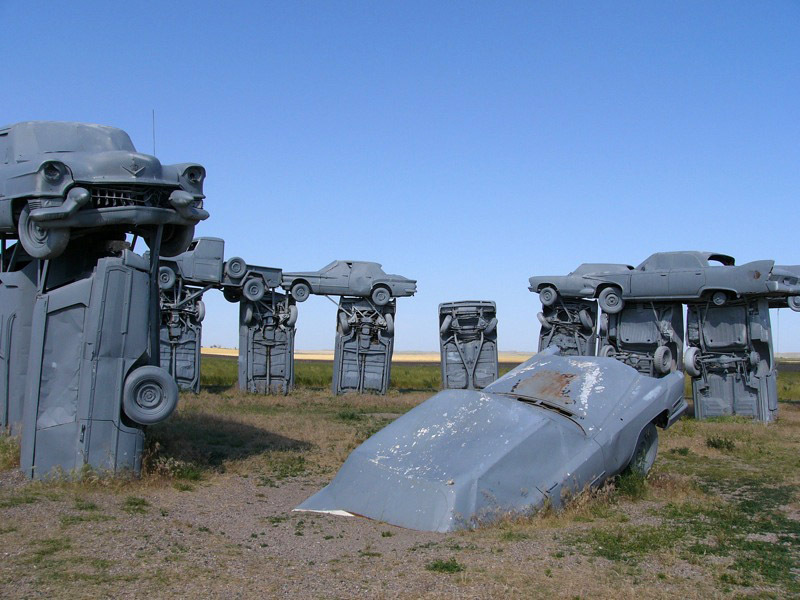 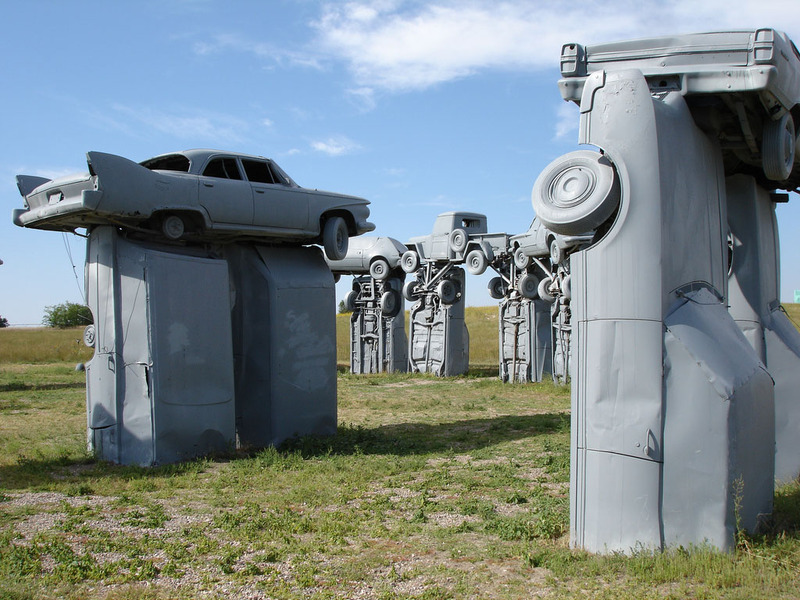 Carhenge is a very odd structure located in the sand hills of western Nebraska. 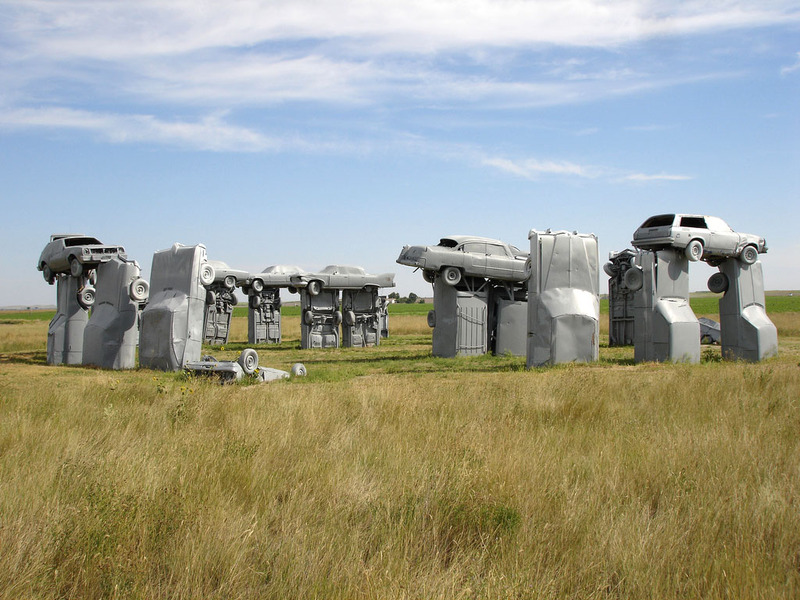 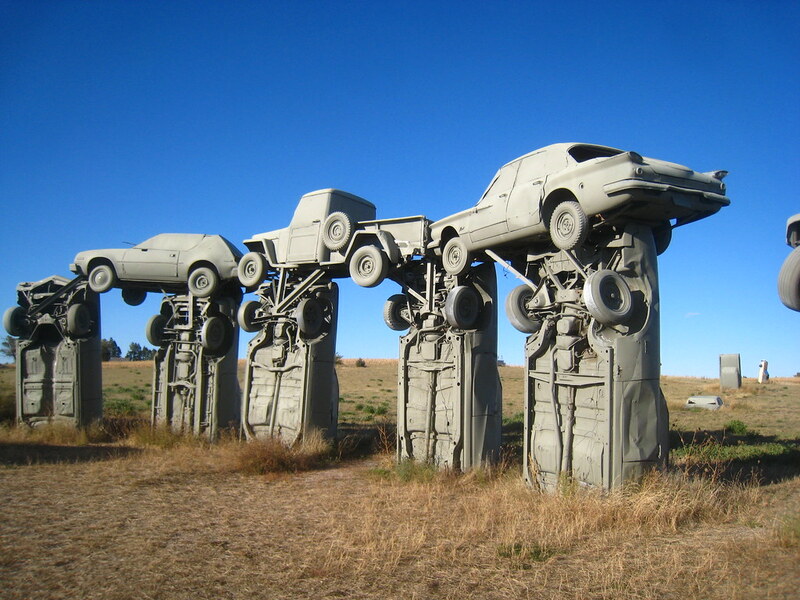 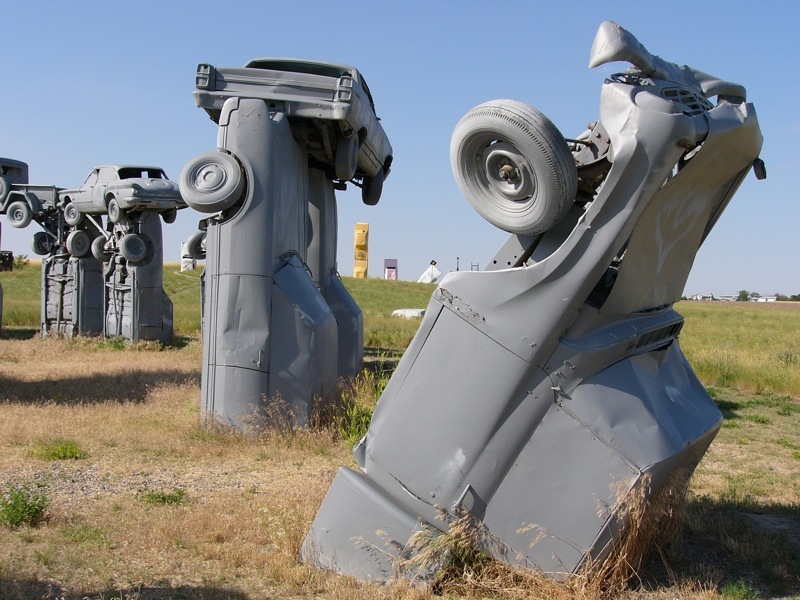 It is a beautifully done replica of Stonehenge, Americanized by using cars that have been spray-painted grey to give off the impression they are made of stone. It attracts 100,000 visitors each year. 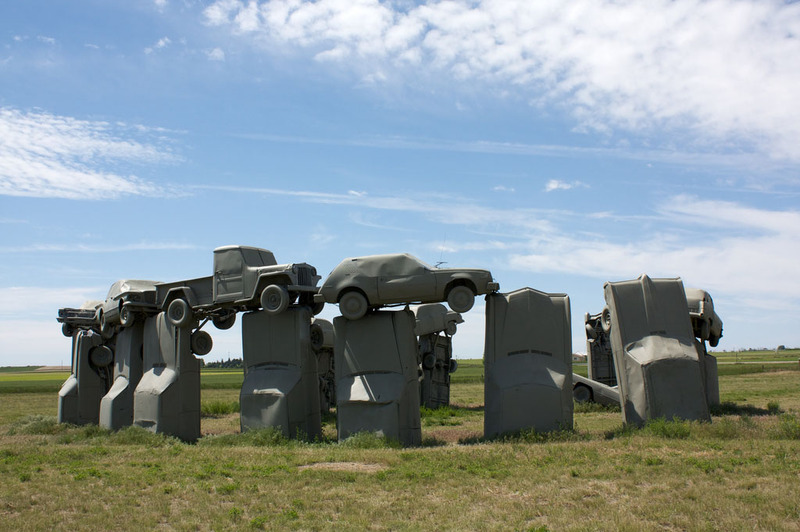 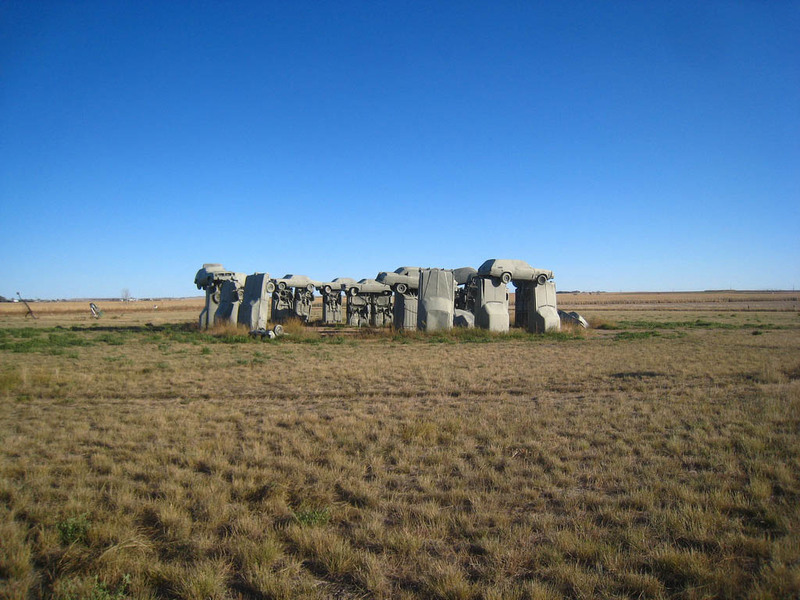 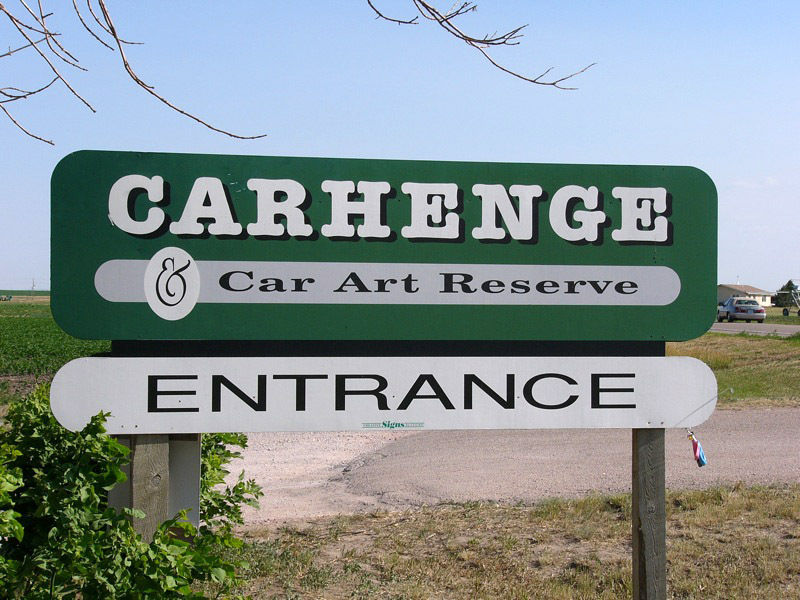 The original sculpture was created in June, 1987 as a memorial to Jim Reinders’ father who once lived on the farm where Carhenge stands.